Flash is format for delivering “streaming” multimedia via the Internet. 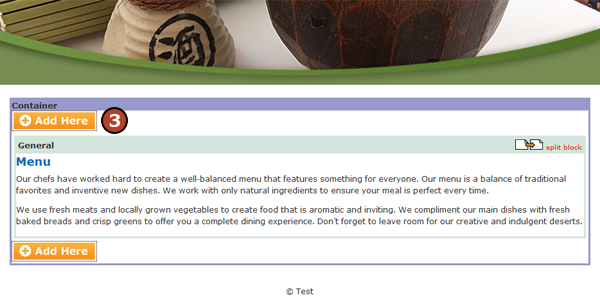 Flash animations can include text, graphics, sounds, video, and even interactive buttons. 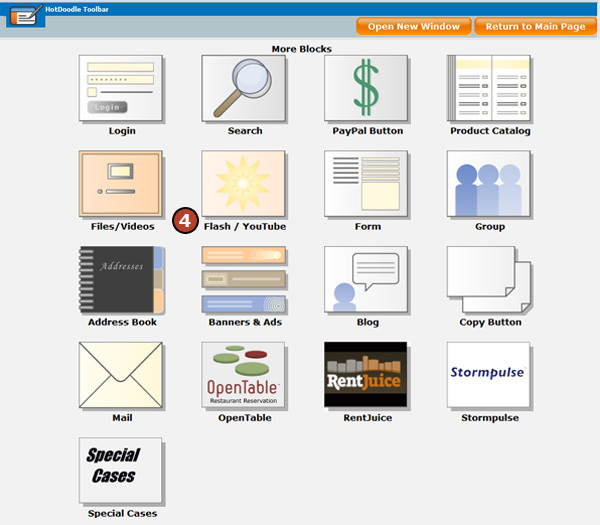 These specialized files are integrated into a web page and require a Flash browser plugin to view. 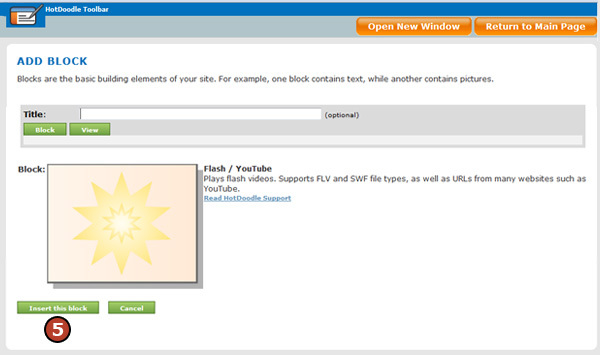 The Flash Block displays a single video, flash, swf, or YouTube file and has many adjustable properties. These files can also be displayed in the Files/Videos Block, but with fewer adjustable behaviors. 3. On the webpage, click on the "Add Here" button where the Flash/YouTub Block will display. 4. Click on the "Flash/YouTube" block. 5. Click on the "Insert this block" button. 6. Click on the "Browse" button. a. Navigate to the file on the hard drive and click on it. 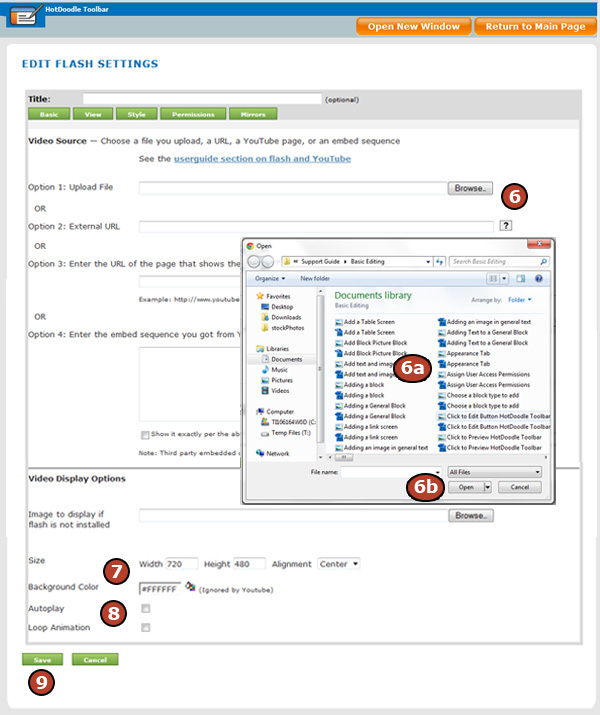 If the Flash file is on another website, locate the Flash file to link in another browser window or tab. Copy the url of the file location and paste it into the “External URL” textbox. 7. Customize the look of the player by typing the width and height of the Flash file and use the drop down menu options to align it to the left, right, or center of the page or container. Also, click on the paint bucket icon to select a background color. 8. Use the [Autoplay] and [Loop Animation] checkboxs to indicate whether the file should play as soon as the page loads and if the file should automatically play over and over again.